The Wilson Federer Team III 6 is a medium capacity racket bag that can carry up to 6 racquets or take other pieces of kit in its 2 main compartments. 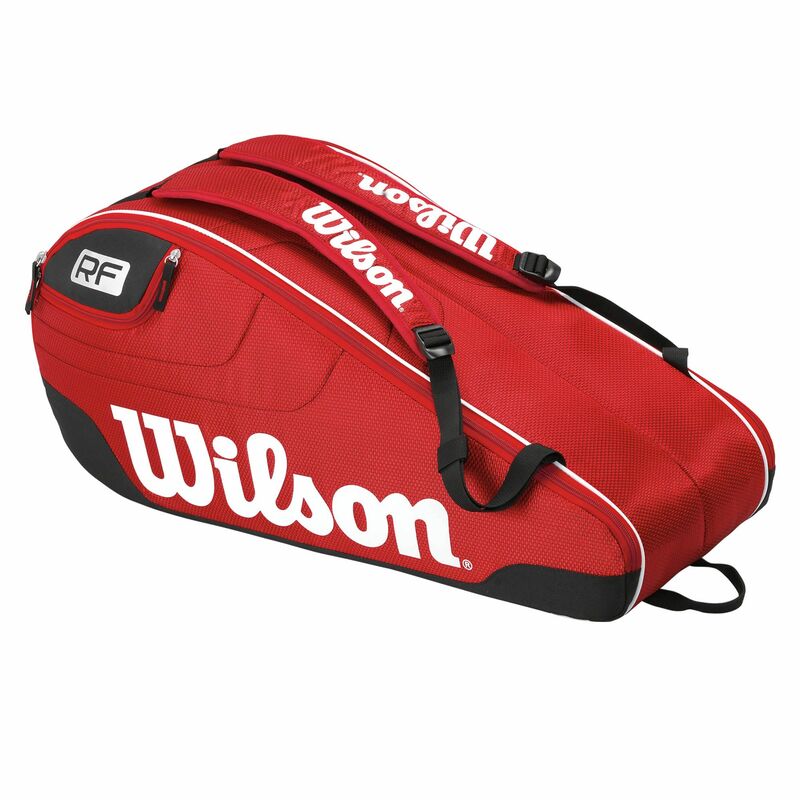 This stylish red racquet bag features Federer’s signature and RF initials and has pockets for valuables, accessories and any other smaller items. Carry it practically and comfortably thanks to the adjustable and padded backpack straps and the carry handle. My grandson was delighted with this bag, just what he wanted. 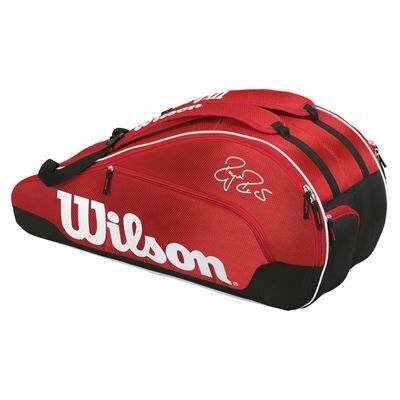 for submitting product review about Wilson Federer Team III 6 Racket Bag.